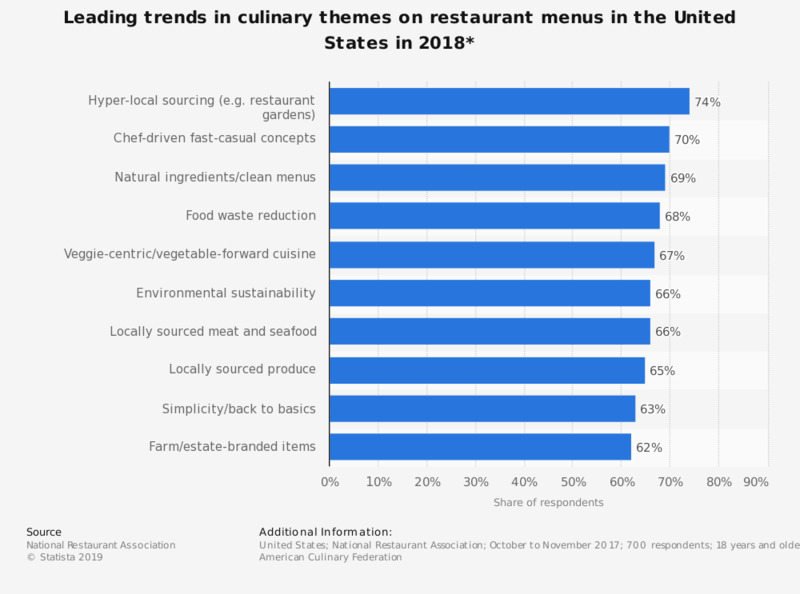 This statistic shows the leading ten trends in culinary themes on restaurant menus in the United States as forecasted by professional chefs for 2018. During the survey, 66 percent of the respondents stated that environmental sustainability would be a "hot trend" for restaurant menus in 2018. The survey was conducted among professional chef members of the American Culinary Federation. The chefs were given a list of 161 items and were asked to rate each item as a "hot trend," "yesterday's news" or "perennial favorite" for restaurant menus in 2018. How do online reviews by consumers on sites like Yelp and TripAdvisor affect restaurants?